But we don’t use the word “frock” any longer, right? 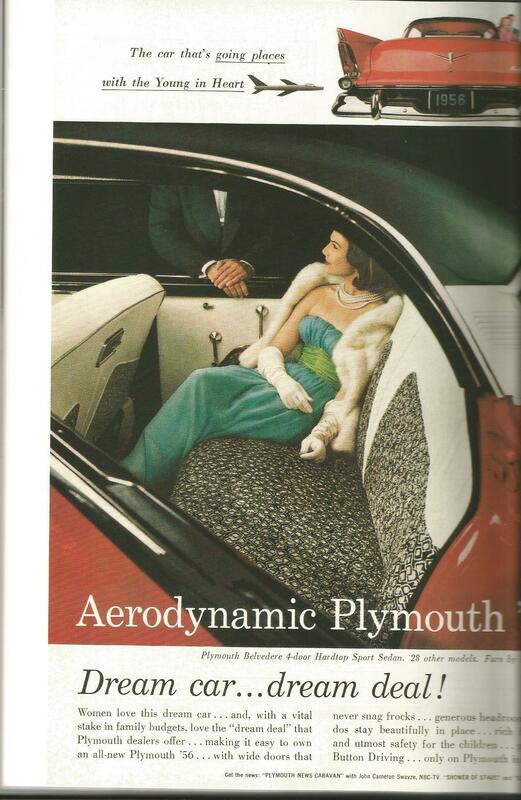 I found this ad in the book, Ads That Put America on Wheels. I was 8 in 1956, and I don’t remember my mom or sisters talking about their “frocks” but apparently the word was common enough for an ad writer to use it. I wonder why “frock” fell off the cliff? What other words have? If you think of any, tell me. I’m collecting them. This entry was posted in cars, words and tagged cars, Plymouths, words. Bookmark the permalink.